Courtesy by Chef Etienne Sonntag, Embassy of Spain, Tokyo. Put all the filling ingredients into a mixer and blend for 30 seconds. Mix all the batter ingredients and refrigerate for one hour, then roll the dough into a pie mold. Preheat the oven to 175º C.
Add the filling to the mold and bake for 40 minutes until the surface is golden. 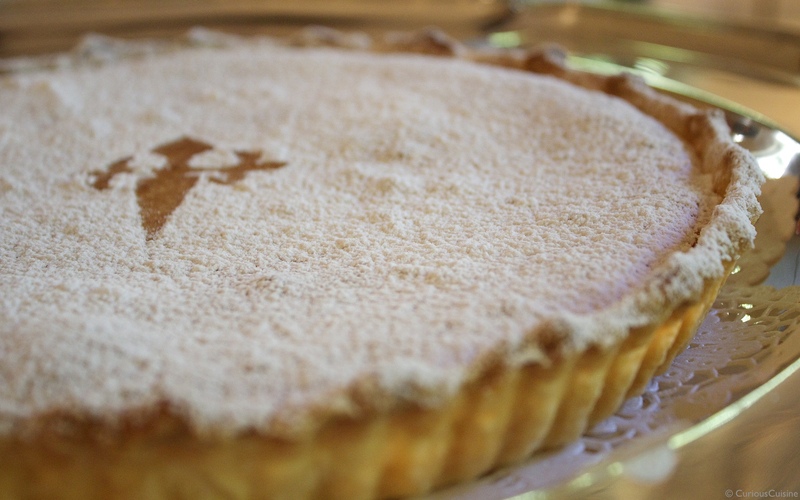 Let the tart cool and put a paper cross on the top. Sprinkle powder sugar over the tart evenly with a sieve.